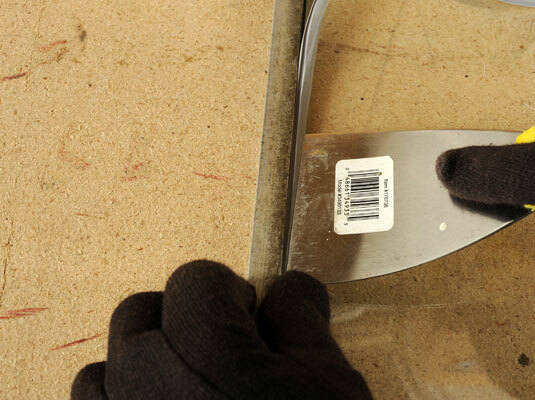 Use a screwdriver or putty knife to pry out the vinyl spline. The spline forms the seal between the metal and the glass. Be patient — you want to reuse the spline so don’t rush it. 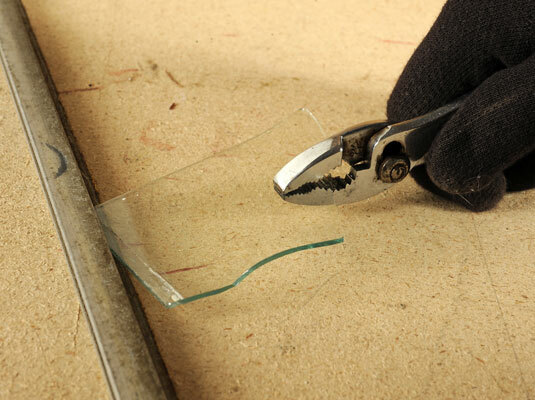 Use pliers to remove all the glass shards. Warning: When you work with broken glass, wear safety goggles as well as gloves; small chips of glass can cause permanent eye damage. Clean and inspect the rabbet groove. 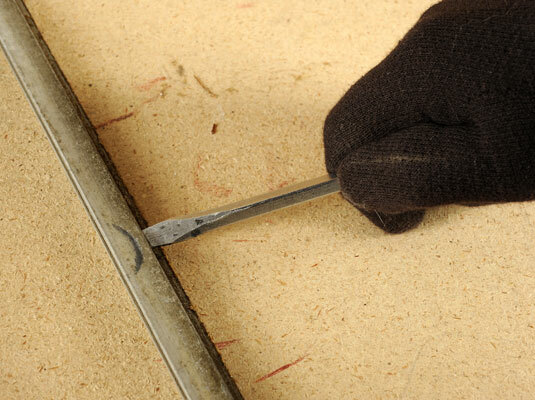 Run a screwdriver around the groove to ensure that no bits of glass remain. 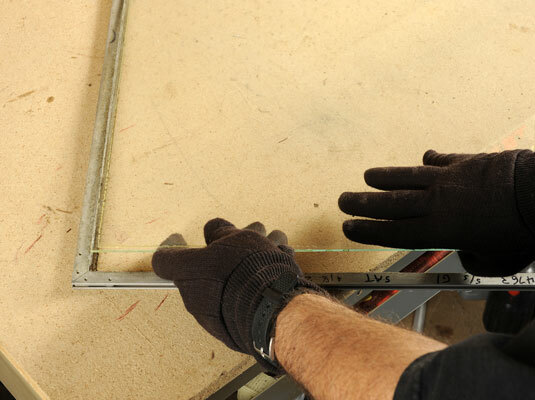 Carefully position the new pane in the rabbet grooves. Wear gloves. 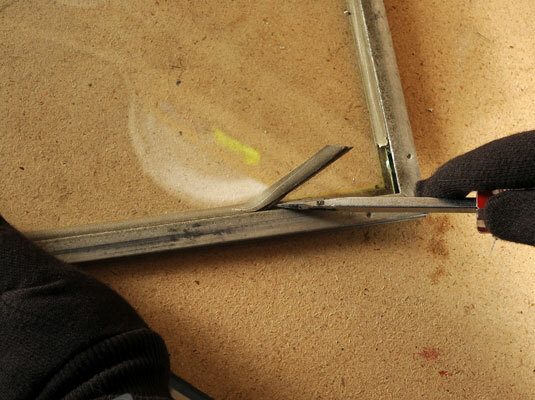 Shift the pane until you have a 1/16-inch gap between the pane and frame on all four sides. Use a screwdriver or putty knife to push the spline back into the frame. Start at a corner and work your way around the frame.